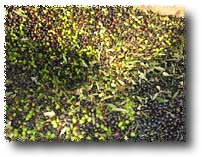 Olives have been grown at Montenidoli since Etruscans time. 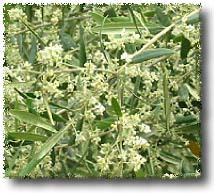 We currently grow the Moraiolo and Correggiolo strains; the former provides body, and the latter perfumes. 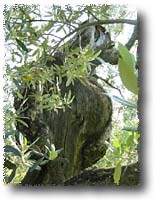 Our olive trees are organically grown and pruned yearly. The harvest, by hand, begins in November and continues until just before Christmas. 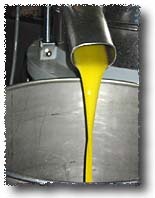 Our oil is an extra extravirgin oil: at the time of pressing its acidity is less than 0.20%, which is far below the 1% maximum allowed acidity for extravirgin oils. 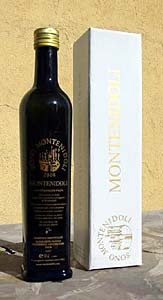 Montenidoli's oil emerges from the presses opaque, and brash, with powerful vegetal aromas. Throughout its youth it remains strongly flavored, with pronounced artichoke accents that make it more of a food to be served over bread than a condiment. We release our oil only after a year, when it has clarified itself naturally, without filtering, to preserve its richness and vitamins: We have found that a great olive oil is long-lived, and with time softens. Our oil is extremely healthy; It's an excellent source of good (LDL) cholesterol and is also rich in vitamins.